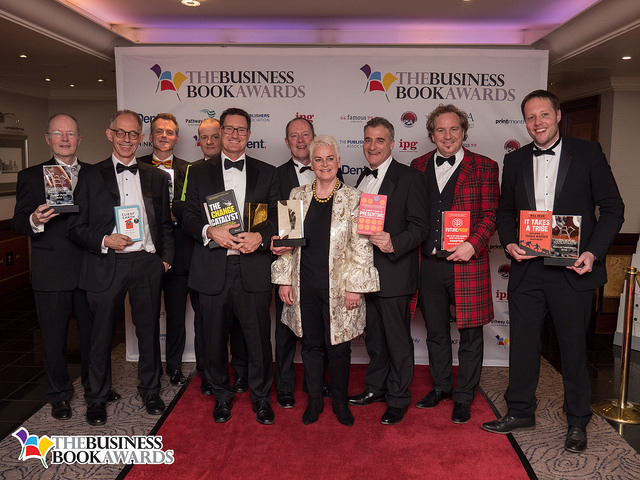 And the demand for these Awards was clearly there, they attracted the best in book publishing with 36 authors shortlisted from 150 entries initially received, all from a variety of publishers. 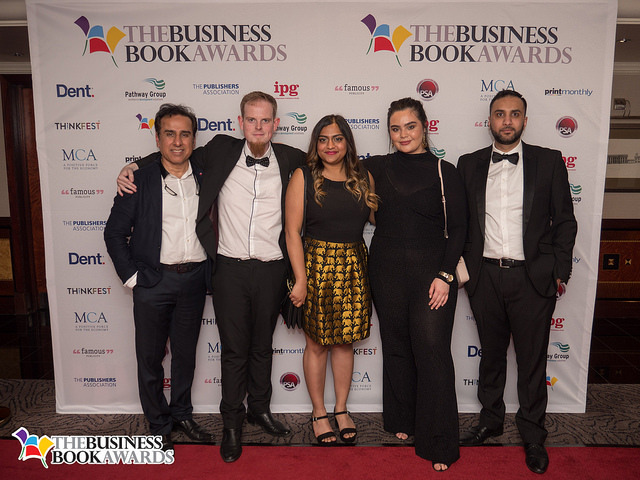 In fact, seventeen different publishers made it through to the shortlist, with entries ranging from independent publishers such as The Authority Guide, through to household names such as Wiley, Penguin Random House, Kogan Page and Bloomsbury. The entries were judged across seven categories: Startup Inspiration, Selling the Dream, Leading the Team, Embracing Change, Thought Leader, Self-Development, and the Judge’s Choice. Startup InspirationIt Takes a Tribe by Will Dean (Portfolio, Penguin Random House) – whose thank you speech referenced his experience as co-founder and CEO of Tough Mudder. Strategic Tendering for Professional Services by Matthew Fuller and Tim Nightingale (Kogan Page) – clearly an excellent read, as the judges won business from following tips in the book. Futureproof by Minter Dial and Caleb Storkey (Pearson) – collecting the award, Caleb pointed to the future as it would unfold for his infant daughter, whom he is home schooling (when Alexa has the answers, he argued, facts become secondary to how you interpret the world). The Startup Way by Eric Ries (Portfolio, Penguin Random House) – Eric adds another fine book to his oeuvre which includes the million-selling New York Times bestseller The Lean Startup. The Leader’s Guide to Presenting by Tom Bird and Jeremy Cassell (Pearson) – the need to speak well in front of audiences and in the media remains as relevant as ever. Client Earth by James Thorton and Martin Goodman (Scribe UK) – demonstrating that sustainability really is of core concern to the business community. So what is the benefit of having an award ceremony? 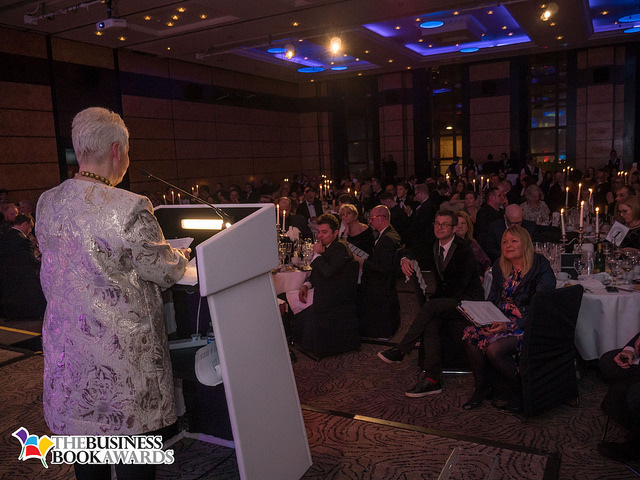 You had to keep reminding yourself that this was the first ever Business Book Awards, with the event being a huge success – hats off to ThinkFest who got it right first time. I have witnessed many events which have started in a broom cupboard and can take years to gain traction, not this one. But there’s more to an awards ceremony than getting the champagne chilled and booking a Four Poofs and a Piano (though that’s a great start). Credibility really is the name of the game. There is no point in running an awards ceremony if people don’t think it’s a fair contest. 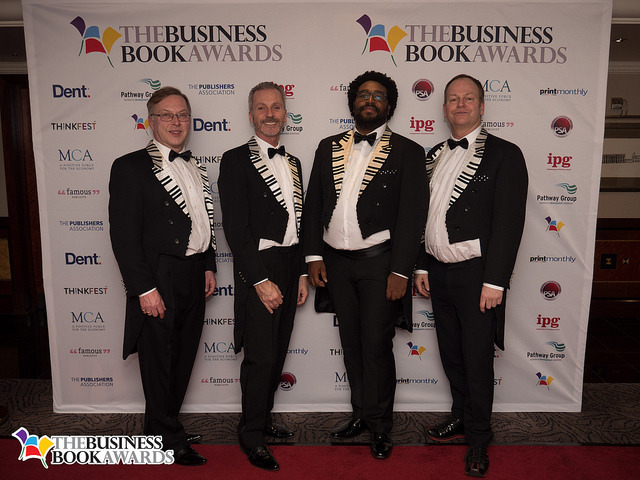 The business book awards were run properly in this regard from the very beginning. With the high calibre of entries, expertly guided by Head Judge, Alison Jones, all the judging panels took the task very seriously. As you might expect from this kind of contest, my fellow judges had fantastic credentials from the world of publishing, as authors in their own right, and as business people: it’s easy enough to write a book, rather more difficult to write one that’s going to be of use to someone whose livelihood may depend upon it. For every judge turning the pages in the hope of discovering a beautifully turned phrase, there was an entrepreneur who had learned the hard way and was looking for solid content. 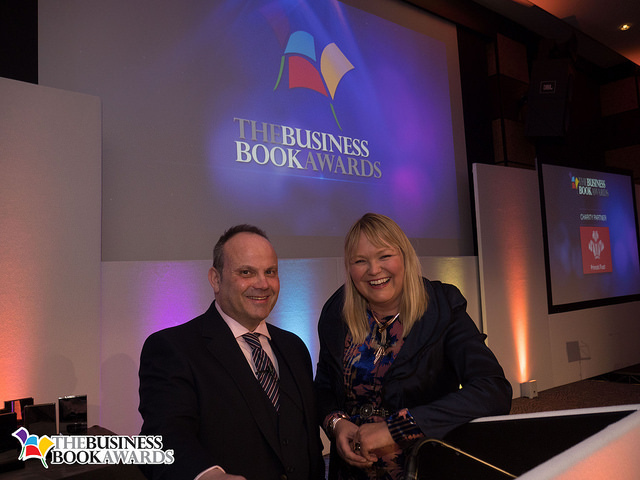 And many of the judges, including Martin Norbury, have seen the industry both from a business perspective, and as an author. 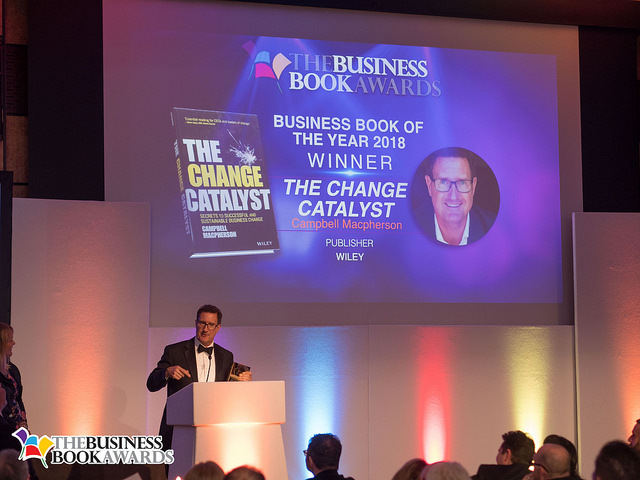 There was a real sense of being among industry movers and shakers in the judging room, and if anyone felt they weren’t up to the task of choosing a winner, the wisdom of this highly qualified crowd was sure to prevail. So, it wasn’t easy – and I found myself reading through a stack of books whilst supposedly on holiday. But as Noel Coward so memorably said, ‘work is more fun than fun,’ and this was time well donated to a worthwhile endeavour. What are the rewards for organiser of getting this event right? Well, the usual story with industry awards is very simple: publicity. Once you have created legitimate awards, the winners will go off and publicise your brand as being the arbiters of excellence. In this world of reputation management, being seen as a thought leader is more important now than ever it was. And indeed, if you can set your organisation up as providing a benchmark of quality, people will come to you because they know that you are trustworthy and reliable. Lucy really is about encouraging people to tell their story. There was one thing that shone through at the event on Friday night, it was that so many people wanted to impart the knowledge to others. Established writers were keen to help first timers. Publishers were looking for new talent. The authors themselves wanted to pass on their business knowledge and help other people set up and run successful companies. And at the heart of it all, Lucy seem to be the ‘queenpin’ (new word alert!) that held everything together: this vast network of support, encouragement and mentoring. The Awards will go on from strength to strength, and we may have had a 50/50 gender balance amongst the judging panel, but next year I hope to see more women write, publish, enter and win. Special mention to Eve Poole for her brilliant ‘Leadersmithing’ book entry which received a Highly Commended Certificate, narrowly missing out on the top spot in the Lead the Team category, which as we know was awarded to ‘The Change Catalyst’! All the judges gave up their time for the awards, and by co- hosting the event too with Simon Da Cintra, I had one of the best seats in the house! Entries for 2019 open in July 2018, start writing now…(special thanks to @Social_Frames for great pics).